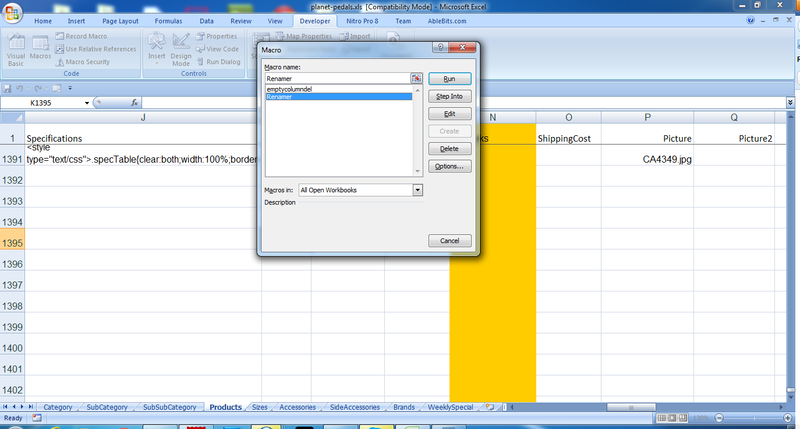 Hi everyone in this tutorial I will teach you how to create a very simple yet a life-saving excel macro. 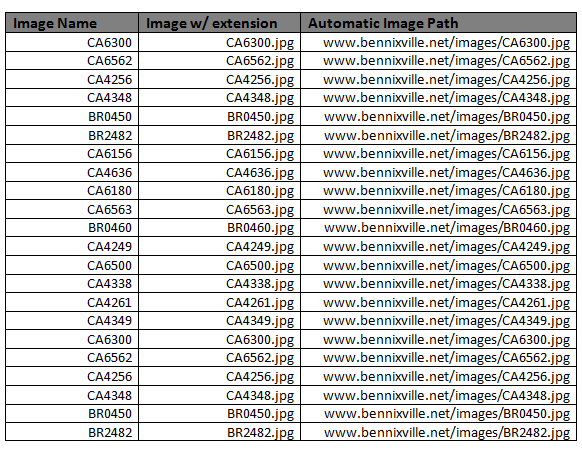 If you’re a Product Lister you might have experienced working on excel sheet with thousands of images file names or image path, updating them one by one, so tiresome right? --Add any image extension to any image name. --Add additional text or path name before the image name. --Select and run. Easy to customize. 1. First create a new macro, click the Excel's Developer Tab > Record. 2. Name your macro as RENAMER then, hit OK. 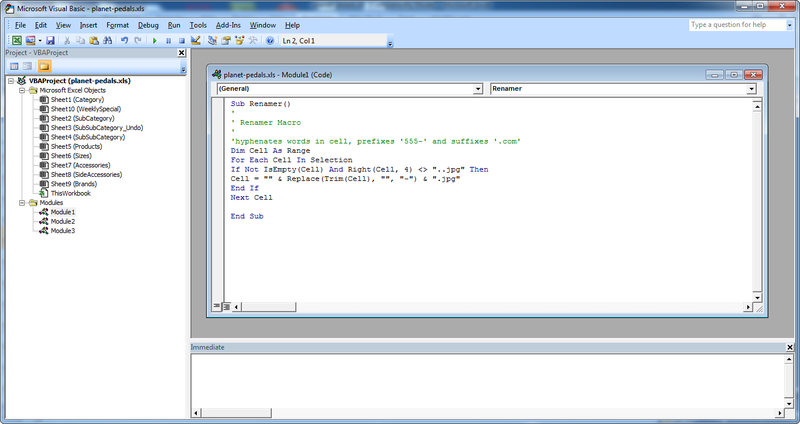 Cell = "" & Replace(Trim(Cell), "", "-") & ".jpg"
5. Press CTRL + S to save your code. 1. 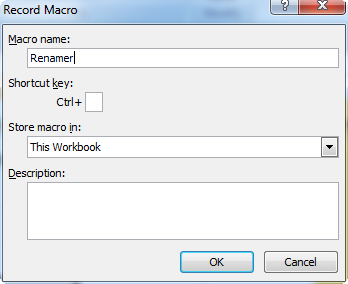 Just open your RENAMER macro and click the EDIT menu then add the image path inside the quote next the cell=. Cell = "www.yourdomain.com /images/" & Replace(Trim(Cell), "", "-") & ".jpg"
Here’s the screenshot using my fictitious image path. Warning: The only problem with using this macro is can’t undo anymore after you run it. So you better careful by backing up your file.